Cherry and Spoon: Fringe Festival 2016: "And To Think That I Saw It At 221B Baker's Street"
Fringe Festival 2016: "And To Think That I Saw It At 221B Baker's Street"
Summary: A brilliantly funny mash-up of Sherlock Holmes and Dr. Seuss. Highlights: I know, it sounds weird. Everyone's favorite rhyming children's author combined with one of the most beloved literary characters of all time? But it works beautifully well. And in a fun twist - Sherlock Holmes is a woman (it's about time)! In typical Holmsian style, Dr. Watson (Samuel Poppen) narrates a case as the brilliant Ms. Holmes (Dawn Krosnowski) solves it effortlessly. Their client in this particular case is none other than The Cat in the Hat, who is searching for his missing Things. 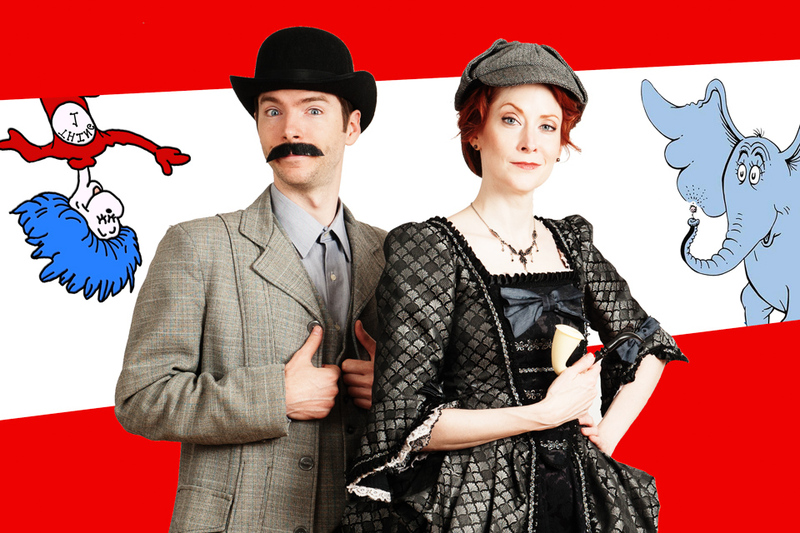 A trip to Whoville is in order, where Holmes and Watson meet several other Dr. Seuss characters, from a Lorax to Cindy Lou Who (hilariously protrayed by Lana Rosario, Jason Kruger, Roseah Germ, and Tim Jopek with multiple costume changes). Of course Ms. Holmes' nemesis Moriarty (Edwin Strout) is behind the disappearance of the Things, and of course she saves the day. Creators John Newstrom (director) and Tim Wick (writer) have managed to successfully combine these two beloved franchises in a way that's sure to please fans of either one, as well as people who enjoy clever comedy.